Our menu is based primarily on local produce supplied by selected regional food producers. Our menu includes farmstead cheese, locally made cold meats, fresh fish and seasonal vegetables and fruits. Thanks to reviews written by our guests, Wyszak Family Brewery is proudly maintaining its top-ranking position on Trip Advisor. 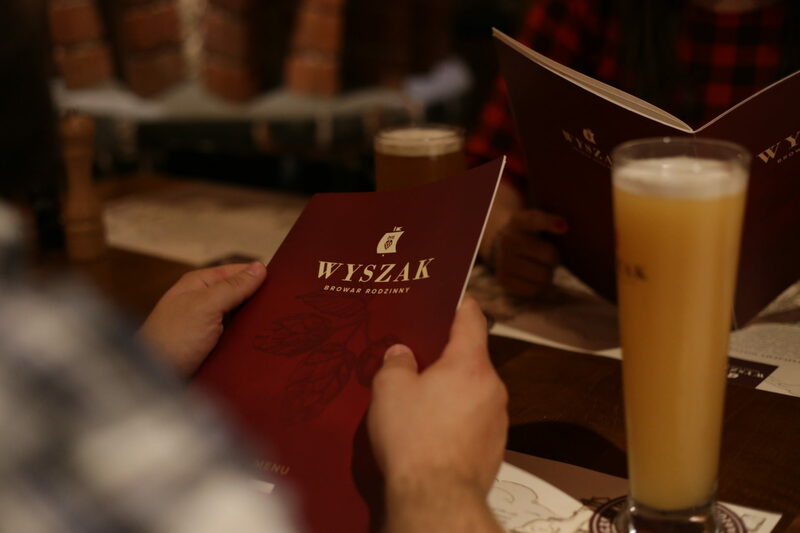 Since 2015 Wyszak Family Brewery is a member of the Regional Culinary Heritage Europe Network – West Pomerania. Check out Wyszak Family Brewery beer list. All our beers are brewed brewed only from natural ingredients, here, on the spot, in the brew house by Tomasz de Weyher, our Master Brewer.